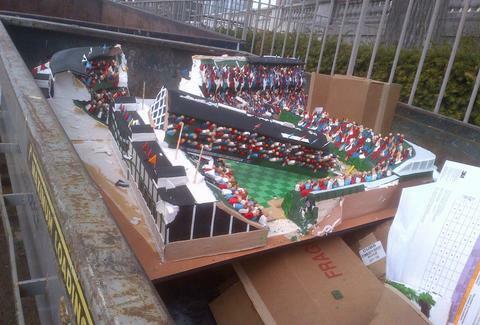 Just one day after Wrigley Field proudly touted its 400lb cake replica crafted by the Cake Boss himself, the management seems to have unceremoniously dumped the cake in the trash. The employee tasked with the job posted the whole sad burial on Reddit before deleting the account, probably after his boss pieced together who "ChewysDingleberrys" was. The team has since claimed it is shocked -- shocked! -- to discover the cake was pitched. This is why you can't have nice things, Cubs. Like a pennant. Kristin Hunt is a food/drink staff writer for Thrillist and hopes the cake was, at the very least, enjoyed by some pigeons. Follow her at @kristin_hunt.